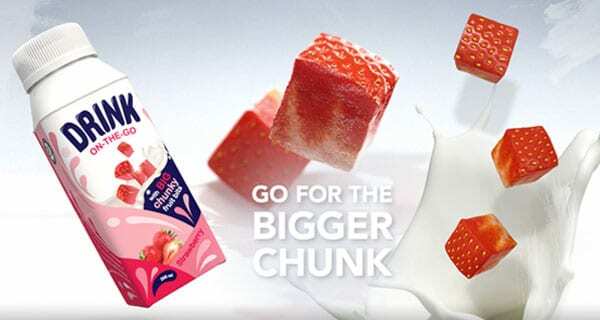 Yili, a leading Chinese dairy manufacturer, has launched what is claimed to be the world’s first ambient drinking yogurt with large fruit and cereal pieces – thanks to new Tetra Pak technology. The launch has been realised by Tetra Top 200ml bottles that have large re-sealable screw caps, filled by the new Tetra Pak TT/3 AD filling system has been designed to allow the particles to pass through seamlessly. According to Innova Market Insights, between 2013 and 2017, an average annual growth rate of +103 percent has been observed for new food and beverage launches tracked with “resealable/reclosable” packaging (Global, CAGR 2013-2017). Charles Brand, Executive VP, Product Management and Commercial Operations at Tetra Pak says, “We are pleased to be able to support our customer deliver a premium product in a growing category. The global market for ambient drinking yogurt is around 12.5 billion packages today according to Tetra Pak, with quick expansion from China to South East Asia and the Middle East. The addition of large fruit pieces and cereal grains will further increase consumer interest with more premium products. Including large fruit pieces within an ambient beverage product is a challenging process. The heating of the product must be done carefully to ensure that the fruit pieces are not damaged or broken-down during the process, and the filling and packaging need to ensure even distribution of the fruit particles, keeping the quality and integrity of the final product. Just recently, Tetra Pak launched an Extrusion Wheel that produces stick ice cream products with large-sized inclusions, such as whole nuts, real fruit segments, or cookie dough chunks.